So good news! We figured out how to change the settings so that people could comment! You can now comment with your name or as anonymous. I thought I'd share a few of my favourite cookbooks. These could be great Christmas gifts for friends or family or things to put on your own wishlists. 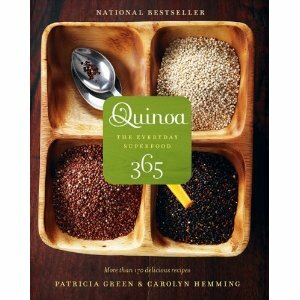 This first one is Quinoa 365, a gift I received from Gail. It has tuns of great healthy recipes that use quinoa or quinoa flour (which can be purchased at bulkbarn). What's great is that each recipe says whether it's gluten free, vegetarien, etc. For those of us that have friends who are gluten free this is a good one. 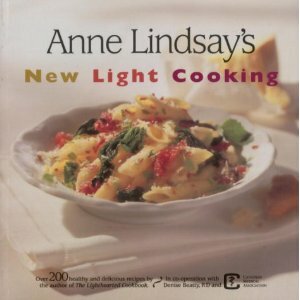 Recently, I have tried making cookies, mocha toffee squares, turkey stuffed peppers and ommeletes from this cookbook. I may post some of these recipes soon. 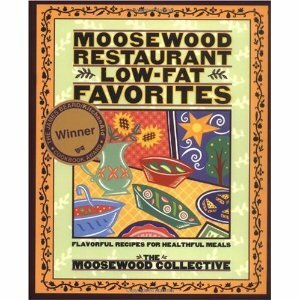 The next one is Moosewood Low Fat Favourites. It was a birthday gift from Keldi﻿ and I have loved every recipe from there that i have tried. Dill salad dressing, thai baked tofu, thai eggplant..all delicious! Iwill have to try something soon. I'm thinking of a recipe from here for brownies.